As we've discussed before, east was forward in the Ancient Israelite culture (as well as others - we still "orient" ourselves to find the way), and so when facing east, south is on the right. From here we get the direction תימן teiman, which leads to the place name as well. However, while the country Yemen (at the southern end of the Arabian peninsula) also derives its name from a cognate of yamin, the Biblical Teiman was in Edom, near Petra. Teiman was also one of the descendants of Esav as well. The right hand was also considered stronger, and therefore the right side represented dexterity and strength. We see this in English as well, where the word dexterity itself is related to the word right, and of course both meanings of right ("correct" and "opposite of left") are related. Arabic maimun, “fortunate one,” is also from the verb yamana. 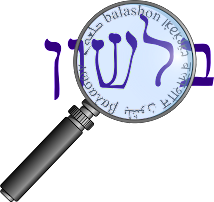 This is the source of the name Maimon, used by Jews in Arabic-speaking countries, including the father of the medieval Jewish philosopher, physician and legal authority, Rabbi Moshe ben Maimon, known in Hebrew by the acronym רמב''ם, and in English as Maimonides (Greek for “son of Maimon”). In Arabic, maimun also means “ape,” originally a euphemism since apes were considered to devils. It is probably the source, via Spanish mona, “ape,” of English monkey. This author adds that the the suffix "key" is a diminutive. Jastrow and Steinberg connect yamin to the root אמן meaning "firm, steady".